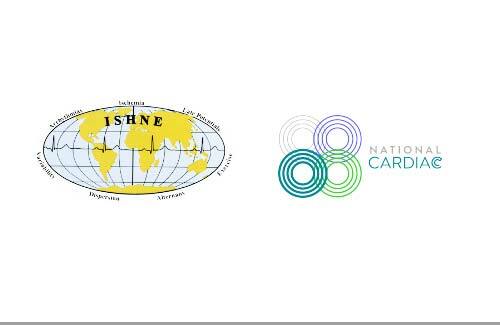 The Annals of Noninvasive Electrocardiology (A.N.E) is official journal of the International Society for Noninvasive Electrocardiology (ISHNE). 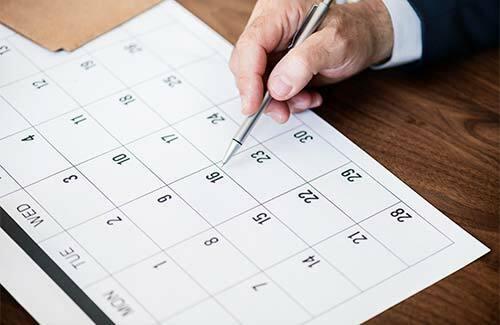 The journal encompasses broad area of research in electrocardiology incorporating ongoing advances in the clinical application and technology of traditional and new ECG-based techniques in the diagnosis and treatment of cardiac patients. The journal was established in 1996 with Dr. Arthur Moss and Dr. Shlomo Stern as Editors until 2011. Since 2012 Dr. Wojciech Zareba serves as Editor-in-Chief of the journal. 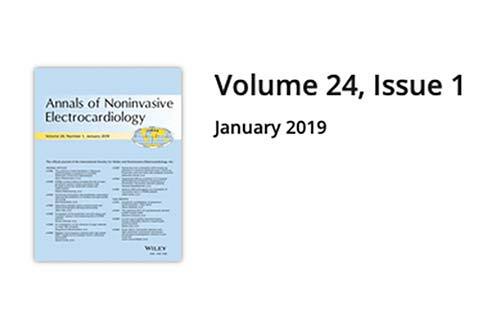 We would like to indicate for you 10 papers published in the Annals of Noninvasive Electrocardiology which we recommend as Editors’ choice for you to read! Enclosed also is complete list of papers published in 2018, since you may cite some of them in future manuscripts. Predictive value of the baseline electrocardiogram ST-segment pattern in cardiogenic shock: Results from the CardShock Study. Javanainen T, Tolppanen H, Lassus J, Nieminen MS, Sionis A, Spinar J, Silva-Cardoso J, Greve Lindholm M, Banaszewski M, Harjola VP, Jurkko R.
Ann Noninvasive Electrocardiol. 2018 Sep;23(5):e12561. doi: 10.1111/anec.12561. Epub 2018 May 30. Efficacy and safety of intravenous vernakalant for the rapid conversion of recent-onset atrial fibrillation: A meta-analysis. Ann Noninvasive Electrocardiol. 2018 May;23(3):e12508. doi: 10.1111/anec.12508. Epub 2017 Nov 4. Review. Fibrosis and wall thickness affect ventricular repolarization dynamics in hypertrophic cardiomyopathy. Jalanko M, Väänänen H, Tarkiainen M, Sipola P, Jääskeläinen P, Lauerma K, Laitinen T, Laitinen T, Laine M, Heliö T, Kuusisto J, Viitasalo M.
Ann Noninvasive Electrocardiol. 2018 Nov;23(6):e12582. doi: 10.1111/anec.12582. Epub 2018 Jul 4. The significance of ST-elevation in aVL in anterolateral myocardial infarction: An assessment by cardiac magnetic resonance imaging. 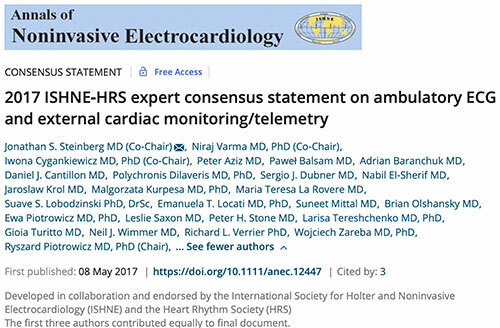 Allencherril J, Fakhri Y, Engblom H, Heiberg E, Carlsson M, Dubois-Rande JL, Halvorsen S, Hall TS, Larsen AI, Jensen SE, Arheden H, Atar D, Clemmensen P, Ripa MS, Birnbaum Y.
Ann Noninvasive Electrocardiol. 2018 Nov;23(6):e12580. doi: 10.1111/anec.12580. Epub 2018 Jul 4. Sleep-disordered breathing and electrocardiographic QRS-T angle: The MESA study. Kwon Y, Misialek JR, Duprez D, Jacobs DR Jr, Alonso A, Heckbert SR, Zhao YY, Redline S, Soliman EZ. Ann Noninvasive Electrocardiol. 2018 Nov;23(6):e12579. doi: 10.1111/anec.12579. Epub 2018 Jul 2. Prognostic value of T-wave morphology parameters in coronary artery disease in current treatment era. Pirkola JM, Konttinen M, Kenttä TV, Holmström LTA, Junttila MJ, Ukkola OH, Huikuri HV, Perkiömäki JS. Ann Noninvasive Electrocardiol. 2018 Jul;23(4):e12539. doi: 10.1111/anec.12539. Epub 2018 Feb 27. Clinical aspects of the three major genetic forms of long QT syndrome (LQT1, LQT2, LQT3). Kutyifa V, Daimee UA, McNitt S, Polonsky B, Lowenstein C, Cutter K, Lopes C, Zareba W, Moss AJ. Ann Noninvasive Electrocardiol. 2018 May;23(3):e12537. doi: 10.1111/anec.12537. Epub 2018 Mar 5. Relation between electrical and mechanical dyssynchrony in patients with left bundle branch block: An electro- and vectorcardiographic study. De Pooter J, El Haddad M, Kamoen V, Kallupurackal TT, Stroobandt R, De Buyzere M, Timmermans F.
Ann Noninvasive Electrocardiol. 2018 Jul;23(4):e12525. doi: 10.1111/anec.12525. Epub 2017 Dec 18. Rattanawong P, Riangwiwat T, Prasitlumkum N, Limpruttidham N, Kanjanahattakij N, Chongsathidkiet P, Vutthikraivit W, Chung EH. Ann Noninvasive Electrocardiol. 2018 Mar;23(2):e12507. doi: 10.1111/anec.12507. Epub 2017 Oct 14. Review. Total cosine R-to-T for predicting ventricular arrhythmic and mortality outcomes: A systematic review and meta-analysis. Tse G, Gong M, Wong CW, Chan C, Georgopoulos S, Chan YS, Yan BP, Li G, Whittaker P, Ciobanu A, Ali-Hasan-Al-Saegh S, Wong SH, Wu WKK, Bazoukis G, Lampropoulos K, Wong WT, Tse LA, Baranchuk AM, Letsas KP, Liu T; International Health Informatics Study (IHIS) Network. Ann Noninvasive Electrocardiol. 2018 Mar;23(2):e12495. doi: 10.1111/anec.12495. Epub 2017 Sep 12. Review.